After announcing its record £95m IPO on Monday (11 March), DWF has today (15 March) issued 300,000,000 shares and been admitted to the main board of the London Stock Exchange. With a £366m valuation and offer size of £95m, DWF has officially become the UK’s largest listed law firm. £19m of the proceeds will be used to repay a portion of members’ capital contribution to DWF, with £10m earmarked for IT investment and the remainder reserved for general corporate purposes. While it is a record figure, the £366m market capitalisation is below the expected range of £400m and £600m. The £95m capital raise however, trumps the £75m sum that was mooted by DWF in February. As a result of the IPO, DWF’s equity partners face an upfront equity reduction of 60% – profit per equity partner was £327,000 last year – while non-equity partners can expect to see a profit share reduction of 10%. Partners will also be locked in for five years, with shares released in tranches of 10% each year following the firm’s financial results in 2020 and a further 10% based on performance. Equity can be release for those considered ‘good leavers’, while ‘bad leavers’ run the risk of having equity clawed back. The firm’s chief executive, Andrew Leaitherland, is in entitled to a basic annual salary of £530,000 following the IPO, with chief financial officer Christopher Stefani entitled to £320,000. 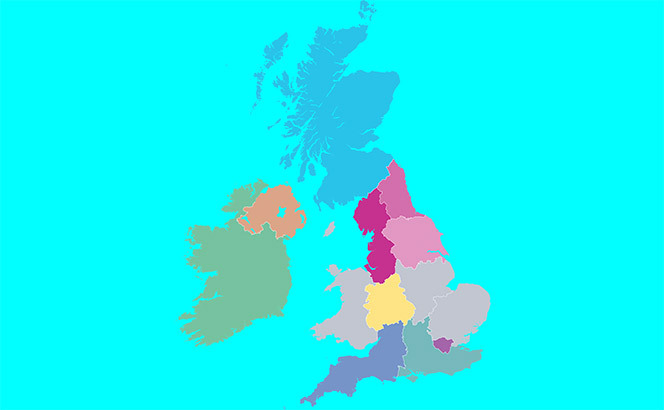 The previous record for the UK’s largest listed firm belonged to Ince Gordon Dadds, the milestone reached when Ince & Co and Gordon Dadds combined last year. At press time, DWF shares were trading at 124p. DWF will be valued at about £366m when it lists on the main market of the London Stock Exchange this week, making it the largest law firm float to date. The firm said today (11 March) the total offer size is £95m, at 122 pence a share, representing 26% of the company’s issued share capital. Of that, £19m will be used to repay a portion of members’ capital contribution to DWF, up to £10m will be used to invest in IT and the development of its managed services platform, with the remainder for general corporate purposes, working capital and to fund any future potential acquisitions. 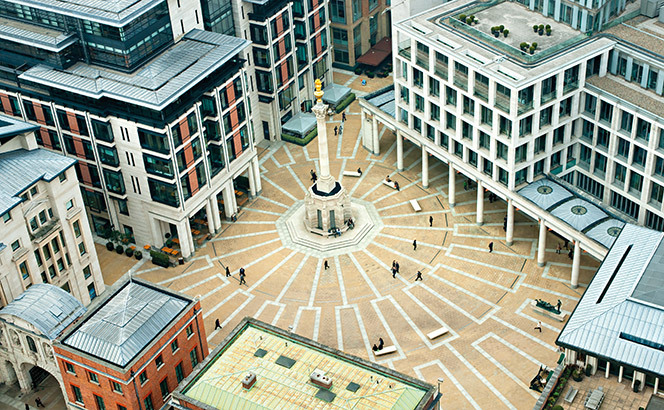 DWF expects to be fully admitted to the stock exchange on Friday morning, and is the sixth UK law firm to list. The £95m capital raise is ahead of the £75m it said it intended to raise in February. A £366m market capitalisation is, however, slightly below the widely touted expected range of £400-£600m. Legal Business’ analysis last year had suggested a valuation of closer to £250m-£300m, based on DWF’s relatively low profitability and an analysis of previous law firm floats. DWF’s equity partners face an upfront equity reduction of 60% – profit per equity partner was £327,000 last year – while the profit share reduction of non-equity partners’ is 10%. That equity partner reduction is further than previous floats. Partners will also be locked in for five years, with shares released in tranches of 10% each year following the firm’s financial results in 2020 and a further 10% based on performance. Locked up equity can be released for those considered a ‘good leaver’ while there are provisions to claw back equity for those considered a ‘bad leaver’. Leaitherland will be entitled to a basic annual salary of £530,000 with an IPO, with share incentive plans and other perks. Chief financial officer Christopher Stefani’s base salary will be £320,000. DWF has put considerable investment into the IPO, working with US investment bank Stifel on the planned listing since October 2017. Investment bank Jefferies was joint global coordinator on the deal, which is the first UK IPO of 2019. Jefferies said the deal attracted strong interest from UK long-only investors and income funds, mid-cap specialists and selective interest from US-based investors. In December, the firm hired former Lucozade Ribena Suntory GC Mollie Stoker to join its executive board and act as counsel to senior management on the firm’s M&A activity. She will also become company secretary with the listing. Regular readers will have to forgive two columns in one issue on capitalising law firms but the day I write this piece DWF has finally set out its stall for that much-touted public float. As can be gleaned from last autumn’s cover feature on law firm IPOs, there is a considerable scepticism regarding the rhetoric surrounding DWF’s planned float, which, if it goes ahead, would be on the main market. Despite initial talk of £1bn valuations, even the more modest £400m-£600m range some were circulating is seen as a huge stretch by a number of the advisers that have worked in this area. The reasons for caution are obvious: DWF has a high equity partner/fee-earner leverage, low margins for a top 50 practice, high debt levels for a law firm and, until recently, was demonstrating pedestrian levels of organic expansion in its core UK business. After all, it’s not as if two of its core markets – insurance and employment – are high-growth or high margin areas. While growth has apparently picked up in the last two years alongside a sustained international push, a sizeable chunk of this appears to be through bolt-ons rather than a buzzing underlying business. And, as predicted, DWF’s float will require partners to give up a huge chunk of cheese to increase the core corporate profit pool – 60% in the case of equity partners, an eye-watering amount, even if it should come back via dividends and bonus schemes. It’s just as well partners are agreeing to a five-year lock-in because that’s a lot of capital to put at risk. DWF’s float will require partners to give up a huge chunk of cheese to increase the core corporate profit pool. Moreover, many legal veterans are yet to be convinced by DWF’s sledge-hammer subtle attempts to replicate the DLA Piper phenomena without the benefits of DLA’s quality mid-market finance/disputes spine. This is not the flux of the 1990s and early 2000s, when the legal pecking order was in constant churn – repeating the Knowles glory days is a huge ask even with Sir Nigel now working at DWF. Then there is the wider debate of how well public floats fit the model of law firms. In many cases the answer appears to be: ‘not very well’, with the exception of firms focused on volume work and the building of new law business models (which, to be fair, sounds like DWF). While it is easy to see the case for fresh means of generating capital, at first glance retaining some profits (see Pritchard), securitising income on volume businesses, or floating New Law arms in which partners retain an equity stake appear more viable options for many major firms. Nevertheless, DWF’s float will be a significant moment for the legal industry, attracting attention far beyond these shores. If nothing else, DWF must be saluted for daring to put its convictions to the test. In a profession that currently does a far better job of talking up its fresh-thinking than delivering real innovation, that must carry some weight and will alone garner much free publicity. But as the long-term legacy of Knowles’ career increasingly demonstrates, as valuable as style can be, it has to be consistently kept in balance with substance. And that balance DWF has yet to establish. For more on DWF’s float, see No free lunch – Will law firm IPOs be the next big thing? DWF is planning to raise around £75m in an expected listing on the London Stock Exchange next month. The firm said today (8 February) it expects to have a free float of at least 25% of its issued share capital following the initial public offering (IPO), with a final offer price announced following a marketing and book-building process. Raising £75m would make it the largest law firm listing to date, ahead of the £50m Knights rose in June last year. The firm says it is targeting a dividend of up to 70% of profit after tax. DWF said the money will be used to repay a portion of members’ capital contributions, to invest in operations and infrastructure, provide working capital for general corporate purposes and to fund potential acquisitions, as well as paying costs related to the float. Partners who have received shares in the company for the capital they have paid into the business will also be expected to sell shares in the listing, and are expected to hold a majority of shares after admission. The upfront equity reduction for equity partners is 60% – profit per equity partner was £327,000 last year – while the profit share of non-equity partners’ is 10%. Each will continue to be self-employed members, effectively a partnership owned by a plc, but instead of being compensated on a variable equity share, each partner will be on a fixed annual share. They will also receive dividend income and participate in an annual partner bonus pool, expected to be 5% of the group’s pre-tax profits. DWF’s registration document says Leaitherland will be entitled to a basic annual salary of £530,000 with an IPO, with share incentive plans and other perks. Chief financial officer Christopher Stefani’s base salary will be £320,000. The partners will be locked in for five years, with shares released in tranches of 10% each year following the firm’s financial results in 2020 and a further 10% based on performance. Locked up equity can be released for those considered a ‘good leaver’ while there are provisions to claw back equity for those considered a ‘bad leaver’. DWF has put considerable investment into the IPO, which would be the sixth UK law firm float to date. It has been working with US investment bank Stifel on the planned listing since October 2017. In December, the firm hired former Lucozade Ribena Suntory GC Mollie Stoker to join its executive board and act as counsel to senior management on the firm’s M&A activity. She will also become company secretary if DWF proceeds with its LSE listing. Litigation finance, meanwhile, has attracted more investor cash after Australian funder Litigation Capital Management (LCM) rose £20m on listing and Burford Capital secured £1.6bn in funding for new litigation investments. DWF said today (19 December) former Lucozade Ribena Suntory GC Mollie Stoker will join the firm as GC in January. 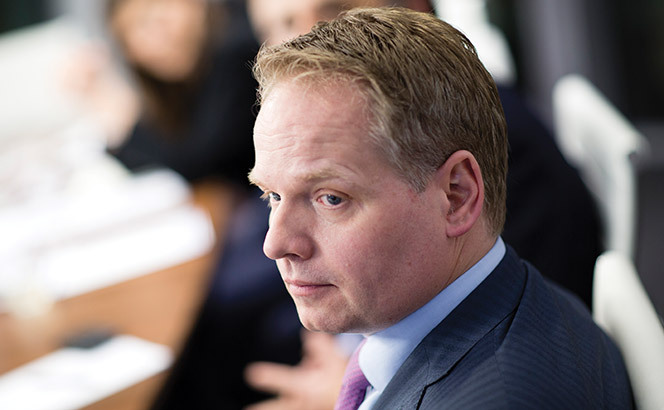 Stoker is director of business development at Suntory Beverage and Food Europe and was Lucozade GC from 2014 to 2017. Stoker will join DWF’s executive board and will act as counsel to senior management on the firm’s M&A activity. She will also become company secretary if DWF proceeds with its LSE listing. The top-25 UK firm said in June 2018 it was considering an initial public offering (IPO), but it has been working with US investment bank Stifel on the float, targeted as a main board listing, since October 2017. The firm is believed to be seeking an early 2019 listing. While the firm’s revenue has grown 25% over the last five years to £236m for 2017/18, it is struggling for profitability, with a profit per lawyer well below top 25 peers at just £23,000 last year. The profit margin is just 11%. A valuation in the region of £400-£600m has previously been tipped but the low profitability suggests a valuation closer to £250m, based on previous law firm floats. Stoker follows DWF securing in October an exclusive relationship with $81m-revenue US firm Wood Smith Henning & Berman, as well as the hire of one of the architects behind Freshfields Bruckhaus Deringer’s Manchester legal services hub, Anup Kollanethu. Meanwhile, litigation funder LCM has listed on the LSE’s Alternative Investment Market (AIM), raising £20m at a market capitalisation of £56.5m. The firm recently launched its EMEA operations by opening an office in London, led by vice-chairman Nick Rowles-Davies, as well as an office in Singapore. Rowles-Davies, formerly of Burford, had founded litigation financier Chancery Capital in 2017, but that business is understood to be folding into LCM. LCM recently de-listed from the Australian Stock Exchange and intends to use the £20m to fund its existing portfolio and for new pipeline opportunities. The listing comes shortly after fellow litigation financier, Vannin Capital, pulled its own IPO due to market volatility. Finally, Burford said it had secured $1.6bn in funding for new litigation investments, following a strategic partnership with an unnamed sovereign wealth fund, a new private investment fund, and its own balance sheet. The wealth fund will provide $667m. DWF announced in June it was considering what would become the largest UK law firm initial public offering (IPO) yet. For further coverage of this, see ‘No free lunch’. DWF’s recent eye for international expansion has been extended to the US through an exclusive association with Los Angeles-based Wood, Smith, Henning & Berman (WSHB). WSHB is much smaller than DWF, with revenue of just $81m and 56 partners across 22 offices in the US, but DWF managing partner and chief executive Andrew Leaitherland says the firms have a number of mutual clients, particularly international insurance businesses. The top 25 UK law firm added 18% to its top line in the year to 30 April, for revenue of £236m. It did not disclose profit per equity partner (PEP) but this year’s LB100 estimates it rose 9% to £327,000. In June, DWF confirmed it was considering what would become the largest UK law firm initial public offering (IPO) yet. Its recent history has been marked by a spate of office openings in Europe, North America and Asia-Pacific, as well as the acquisitions of legal cost business NeoLaw last June and claims management firm Triton Global. Alongside WSHB’s insurance business, the firm provides services in construction, real estate, professional liability, commercial and employment law. It was founded in 1997. WSHB co-founder and chairman Daniel Berman said the DWF partnership would allow the firm to tap into DWF’s international network and access its Connected Services business: a division of independent businesses which help clients manage risk, reputation, cost, time and resources. DWF has added 18% to its top line as the thrusting national operator gears up to become the largest UK law firm float yet. Revenue at the top 25 firm for the year to 30 April, announced today (13 September), was £236m, up from £199m last year. The firm also said profit per equity partner (PEP) increased, without specifying a figure, but this year’s LB100 estimates it rose 9% to £327,000. DWF announced in June it was eyeing up an initial public offering (IPO) on the London Stock Exchange. Eyebrows were raised at the reported £1bn price tag, with a more realistic valuation seen to be in the £400m-£600m range. DWF’s recent history has been marked by a spate of office openings in Europe, North America and Asia-Pacific, as well as the acquisitions of legal cost business NeoLaw last June and claims management firm Triton Global. 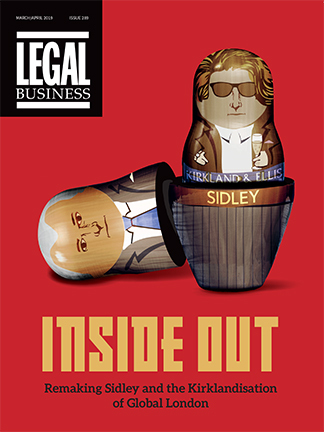 It also brought in the man who spearheaded DLA Piper’s meteoric rise from regional upstart to global giant, Sir Nigel Knowles, as chair in September last year. More recently, it hired the brains behind Freshfields Bruckhaus Deringer’s Manchester services hub, Anup Kollanethu, to head a new managed services role. Former DLA chief information officer (CIO) Daniel Pollick also came in to a newly created CIO role. DWF said it had recruited more than 35 partners, although overall partner numbers have only increased from 279 to 289. The firm also formally launched its Connected Services arm, a division of independent businesses which work alongside the firm’s legal teams to help clients manage risk, reputation, cost, time and resources.